Easy to use, insulated, durable and long lasting. 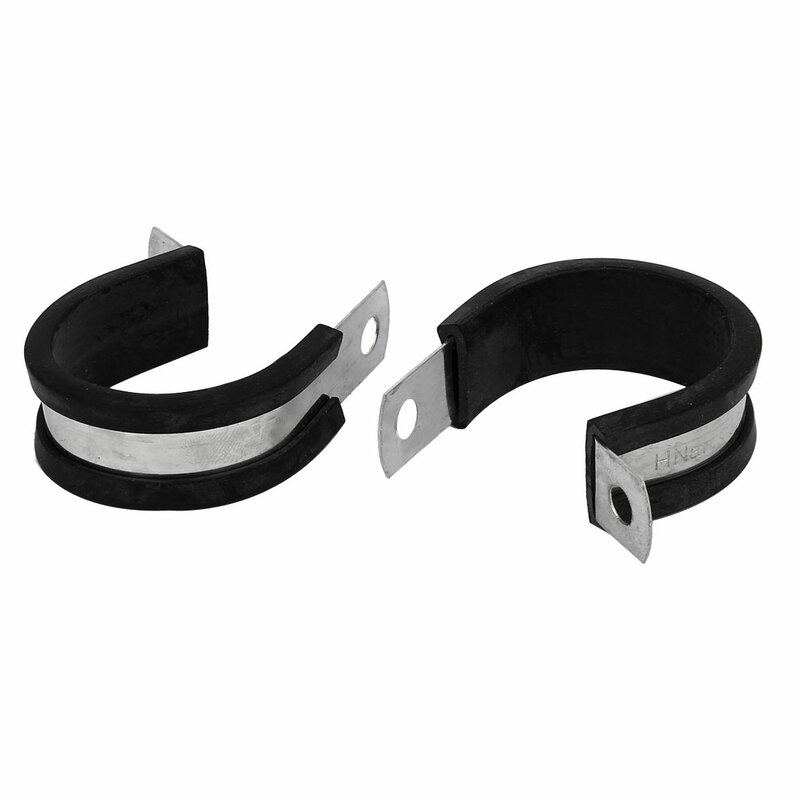 Effectively absorbing shocks and avoiding abrasion. Perfect for securing brake pipes, fuel lines and wiring amongst many other uses. Firmly clamp pipes, hoses and cables without chafing or damaging the surface of the component being clamped. Material: 304 Stainless Steel band with EPDM Rubber Lined. Clip Size: 30mm/1.2"(D); 304 Stainless Steel Band Width: 15mm/0.6"
304 Stainless Steel Band Thickness: 0.6mm/0.024''; Hole Diameter: 6.5mm/0.26"